Chinese consumers are rapidly outpacing American consumers. We know that you want to ensure that your products are available to the Chinese market. We also know that you want to protect your brand against potential counterfeiters and trademark infringements by trademark squatters in the process. Registering for a China trademark can do just that. But is China trademark registration really worth the hassle? What will the process look like, and how long will your trademark be valid for? What are the benefits of working with a legal professional when it comes to registering your trademark? In this post, we’ll tell you everything you need to know. Read on to understand the value of registering your trademark in China. We promise, the process is more straightforward than you might think. Let’s begin by discussing why you should apply for a China trademark. Above all, remember that if you don’t bother to register your trademark, one of your competitors will likely do it for you. They’ll then force you to pay exorbitant sums of money just to take back control over the goods you created and manufactured. And if you can’t pay the ransom? This means you’ll no longer be able to have your goods manufactured in China. Of course, the opposite is also true. If you apply for trademark registration in China, this means you can submit trademark violations to Chinese e-commerce companies that are selling your products under their own name. Keep in mind that if you only have American or European trademarks, you likely won’t be able to put in a takedown request for a Chinese website that’s selling your goods. China trademark registration also means that you’ll be able to sell in China, opening yourself up to an enormous — and extremely profitable — market. A registered Chinese trademark also means you’ll be able to create a licensing agreement to work with a distributor in China. Finally, remember that the Chinese counterfeit market is notoriously large. This often creates a huge problem even for well-known brands and manufacturers. If you take the time to register your trademark in China, you will have the ability to sue these counterfeiters. Without proof of your Chinese trademark registration, you won’t be able to fight back in any way. This is because you can’t display proof of ownership. The registration also means that Chinese customs officials will be able to seize any counterfeit goods they find. This happens especially at airports, where these goods are so often smuggled. It’s all about opening yourself up to a broader market and mitigating your risk. First, you’ll need to come up with a strong name for your trademark. This means you’ll need to consider how the name will translate into Chinese. Often, you’ll choose between phonetic translations. This means that the characters in Chinese will mimic your brand name in English. Or, you can choose literal translations. This is where the word in Chinese is identical to the English name. Once you’ve decided on a name, you need to be certain that the trademark hasn’t already been claimed and registered by someone else. If the trademark is indeed available, you can proceed with completing an application form and gathering the required documents. The State Administration for Industry and Commerce (SAIC) is the entity that approves or denies your trademark application in China. There are close to 50 different trademark classes in China. There are even subclasses for certain kinds of goods. These subclasses are different than the ones used in European trademarks. So, make sure you’re following China’s regulations when you look for your class. This process can sometimes take up to an entire year. Once the trademark has actually been approved, you’ll still need to wait for it to be issued. This can also take another two months. You’ll then get a certificate from the SAIC, which can take yet another two months. The registration process isn’t something that happens overnight. In general, it can take anywhere from 12-15 months if you handle it on your own. If the Chinese trademark office denies your registration application, you will need to get in touch with the Trademark Review and Adjudication Board, or TRAB for short. You’ll then need to submit a formal opposition to your registration denial. This is a process which can take anywhere from 9 months to a year. This is why many companies opt to work with a trademark registration lawyer. This helps them to avoid a denial in the first place. It also helps companies craft a strong case if, for some reason, they’re still denied after filing for the trademark. Remember that your trademark isn’t valid forever. It’s valid only for ten years after your initial registration date. You need to ensure that you begin the renewal process at least six months before any expiration dates to renew it for another ten-year period. It’s important to understand that, in many cases, your trademark may be cancelled if you don’t use it within three years of your registration date. Make sure that you’re truly ready to use your trademark within that time period before you file. Otherwise, you may not be able to get control of it again in the future. Need Legal Help with Your China Trademark? 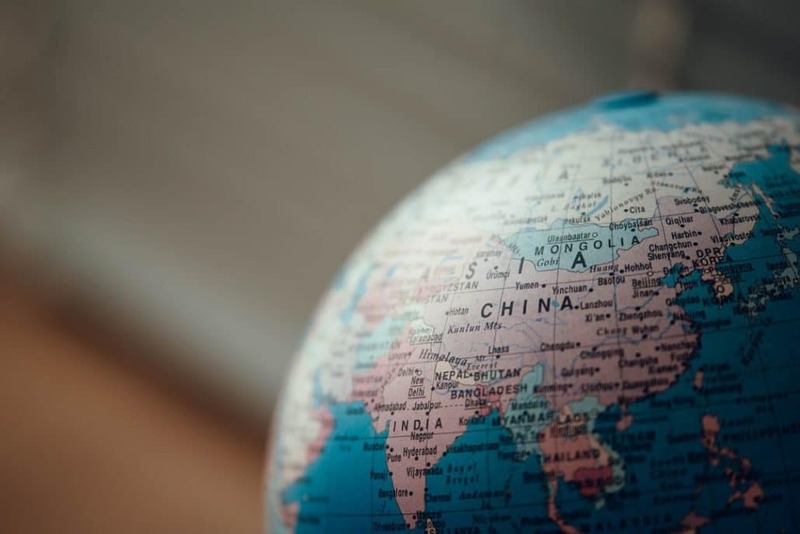 Though applying for a China trademark is incredibly important — especially when it comes to protecting your business — it’s also a lengthy process. You want to be absolutely certain that you file everything correctly the first time around, so that you can avoid having to enter into the opposition process. Are you looking for legal help with trademark registration in China? Want to learn more about the process before you start the journey? Get in touch with us to get started using the contact form on this page, or call us at 855-473-8474. In addition to trademark registration, we can also assist you with trademark monitoring. This way, you’ll know if a third party is trying to illegally use your trademark, so that you can take appropriate action as soon as possible. Begin the Chinese trademark registration process today.